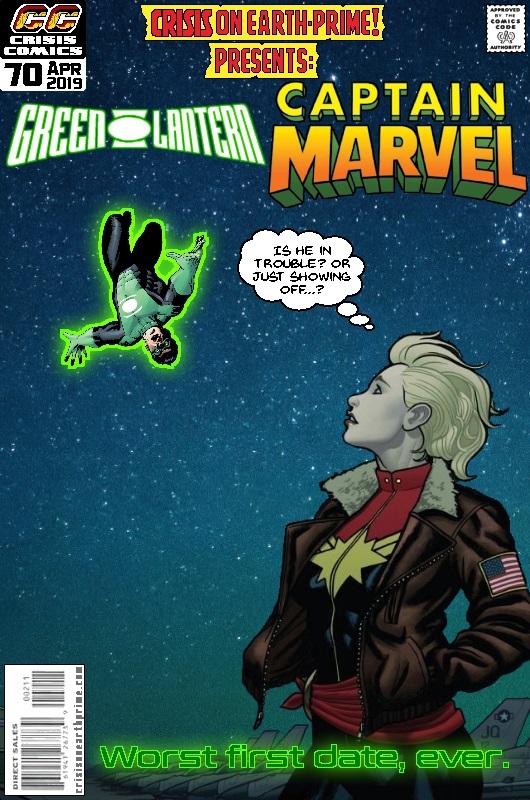 Posted on Monday, April 15, 2019 Monday, April 1, 2019 by GaryPosted in Mash-UpTagged Captain Marvel (Carol Danvers), Green Lantern (Kyle Rayner). Ha! Would’ve been even better if it had been Hal. I only get to work with what my date randomiser gives me!